IN A NEW REPORT, the FSA has laid out exactly what it expects from insurance firms' interaction with customers. It wants to see more openness with regulators and consumers, and greater awareness of the impact of insurers' actions on consumers. The report, an update on the FSA's Future Regulation on Insurance document, states: "Any claims that the consumer makes under an insurance contract should be handled efficiently. Throughout the process, consumers should be able to expect high standards from the firms with which they are dealing." Well, yes. But the Insurance Times Top 50 Insurers aims to provide the industry with vital statistics on rivals and business partners. But one statistic that the FSA returns (on which the table is based) will not shed light on is service. And, of course, this is the area that causes anxiety for customers - whether they are intermediaries or end-users. Of course there are many measures of service - not all easily quantified or revealed. But one that can be assessed more easily is the way insurers handle complaints. There will always be complaints, but just how well are they being handled? According to intermediaries polled by this publication, the answer is: not very well. A random selection of regional brokers up and down the country were asked to name the product provider that was consistently poor in terms of customer service. The general response was that it was hard to identify one - most were equally bad, with claims handling especially poor across the board. The FSA recognises that there is a problem and has demanded that the top 200 insurance companies furnish it with details of the numbers of complaints made from March to September of this year, in an effort to discover just how consumer-friendly (or otherwise) the industry is. Some companies choose to ignore the issue. They take the somewhat perverse view that complaints, in themselves, are not really rising - it's just that policyholders have become much better at knowing who to complain to and when to complain. But some, like Groupama, are welcoming complaints as a way of analysing their own processes and services. "We have moved from a negative complaints culture, where the numbers of complaints received by a department were swept under the carpet, to a positive culture where complaints are kept open and acted on - and there is no concern about holding a relatively high number," explains Groupama quality manager Colin Darnell. "What we have seen over the past few years is a steady, but unspectacular, increase in the number of complaints. But we are not unduly concerned about it because bodies like the FSA and Consumers' Association are encouraging people to complain and making it easier for them to complain." Groupama also views complaints as a valuable free source of data to enable "internal and external improvements to be made". 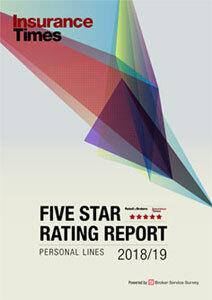 Darnell explains that the majority of complaints still stem from personal lines areas such as motor and household, although latest figures show a drop in the numbers of complaints logged. While any drop in complaints is welcome, this - according to Groupama - was the "first drop for some time". And rather than closing its eyes hoping that the trend continues, Groupama is introducing new tailored software in an attempt to deal with complaints more efficiently. It's a solution also chosen by AXA Insurance. "AXA implemented its customer feedback solution in March 2000, before regulations for handling customer complaints were set out by the FSA," says Alison Blackmore, head of customer care. "In that time we have seen the numbers of staff using this technology rise from 35 to over 550 users, allowing us to increase the scope of business data that we capture as we are able to log complaints across the whole business. "The system has enabled us to improve on the key measures set down by the FSA. For example, in 2000, we were addressing 90% of complaints within one working day, increasing this figure to 93% in 2002 - well within the FSA's recommendations of five working days. "In terms of resolving complaints, we have also improved in the non-claims area. In 2000 we resolved 87% within five days, improving this to 93.4% in 2002." The statistics sound impressive. But, according to the brokers polled, AXA still has some way to go to convince intermediaries of its commitment to customer care. Allianz Cornhill claims manager Harry Rule says it is important to identify the true nature of any complaint. "As you would expect our largest area of complaint from personal lines policyholders concerns the sums payable on claims which raises the obvious question of whether we are dealing with a true complaint or simply involved in on-going discussion," he says. 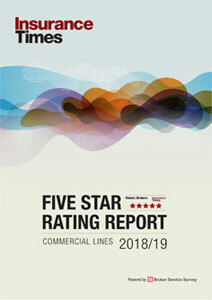 "There are fewer complaints on commercial lines business by virtue of the greater exposure all the parties involved have to this type of process." And it is true that customers are increasingly using the correct channels within individual organisations in an effort to have complaints resolved quickly. This is confirmed by a falling off in the numbers of general insurance complaints to the new single financial services ombudsman, headed by Walter Merricks. '"The number of initial inquiries we have received from consumers has fallen slightly this year as - increasingly - consumers are giving firms the chance to put things right before approaching the ombudsman. "In the past, a significant number of inquiries went to the wrong complaints-handling scheme - as consumers phoned or wrote around, trying to find where they should go with their dispute. This problem has been eliminated now that we are a single ombudsman service, covering complaints previously dealt with by eight separate schemes," notes the annual report. Motor insurance saw a dramatic decline of 19% during the year. Complaints about building and contents insurance remained low despite the widespread flooding in 2000. However, there was a marked increase - by 14% - in travel insurance complaints referred to the ombudsman during the year and medical-related and other insurance disputes were also causing concern with more than 1,000 cases relating to critical illness, medical expenses and permanent health insurance. There will always be cases that can only be resolved fairly after a formal investigation. But around 35% of the insurance complaints are now settled by assessment teams initiating mediation or conciliation. Room for improvement remains, and in dealing with the intermediary side, the report must read "could do better".